In always looking forward to what Pixar might come out with year after year it was always going to be something of a disappointment when the inevitable Cars 3 came around and now...here we are. This summer we will not be graced by a new, inventive piece from Pixar nor will we see a sequel to one of their more beloved films (Ratatouille 2, anyone? ), but rather we will have the only trilogy capper in Pixar history outside of Toy Story for what is easily the weakest two films on the studios slate. The cards have been dealt though and despite the fact it always seemed the Cars franchise was something of a "baby" to Pixar and Disney chief creative officer John Lasseter it seems even he is too busy now to mess with this third installment as Brian Fee (a storyboard artist on the first Cars) has taken over and has seemingly delivered a much darker film than what its predecessors might have indicated. The worst thing about the previous two Cars films is that they are more or less forgettable, especially when compared to their peers. It may be that Fee is attempting to break that stigma around the franchise with this third film by going in an unexpected direction and if the first teaser was any indication-things are definitely not looking the way I imagined a Cars 3 would look. This meaning that rather than the bright colors and zooming sounds of stadiums packed with racing and cheering automobiles that instead we have a story dealing with Owen Wilson's Lightning McQueen attempting to prove to a new generation of racers that he's still the best race car in the world. 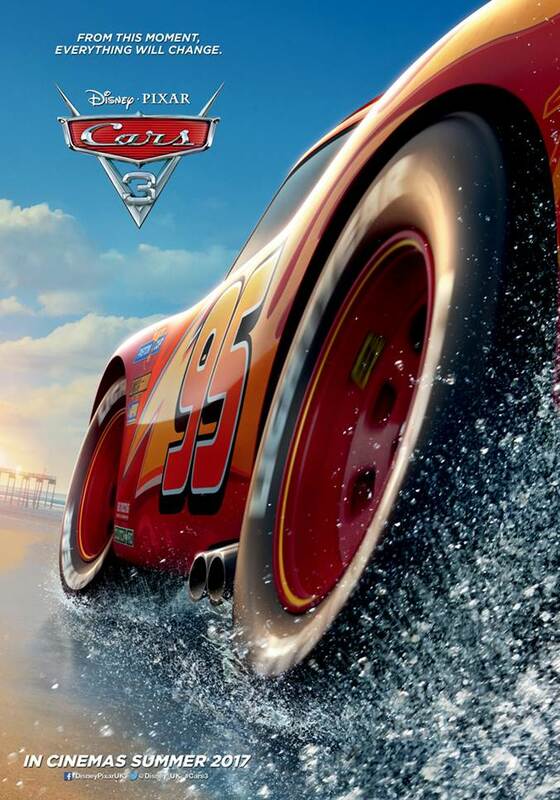 That first teaser showed us McQueen crashing on the track with the tagline, "From this moment. Everything will change." Pretty grim for a franchise that has made its name on merchandising and brand appeal rather than tapping into genuine emotion as most Pixar films do, but again...here we are. With this new trailer we get a better idea of what Cars 3 will look and sound like and while I'm intrigued by the implications of what the movie could actually be about there is still a lack of any excitement. Cars 3 also features the voice talents of Armie Hammer, Bonnie Hunt, Tony Shalhoub, Larry the Cable Guy, Katherine Helmond, Cheech Marin, Paul Dooley, and opens on June 16, 2017.